Mark Olson -- a banker, consultant and public official who served the banking industry for more than a half-century -- died on Wednesday after a long illness, according to Treliant. Mark Olson — a banker, consultant and public official who served the banking industry for more than a half-century — died on Wednesday after a long illness, according to Treliant. He was 75. Olson was a Minnesota community banker who served as American Bankers Association president in 1986-87. At age 43, Olson was the youngest elected leader — holding the office now known as chairman — in ABA’s history. In 2001, Olson became the first of only two former ABA chairmen to serve on the Federal Reserve Board of Governors. 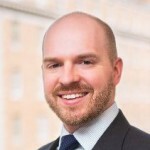 He served until 2006, when he became chairman of the Public Company Accounting Oversight Board. 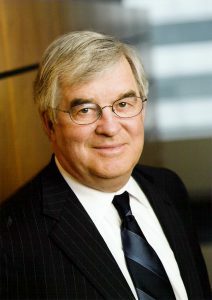 Olson was later a cofounder and chairman of consulting firm Treliant. “We at ABA were deeply saddened to learn of the death of Mark Olson,” said ABA President and CEO Rob Nichols. “Mark’s career of service to the banking industry—and to the country—spanned more than half a century, including serving as ABA’s chairman, a Federal Reserve governor and chairman of the Public Company Accounting Oversight Board. I know the country will miss Mark’s wise counsel and commitment to public service.